Here's how to complete the romance between Mike and Jessica! 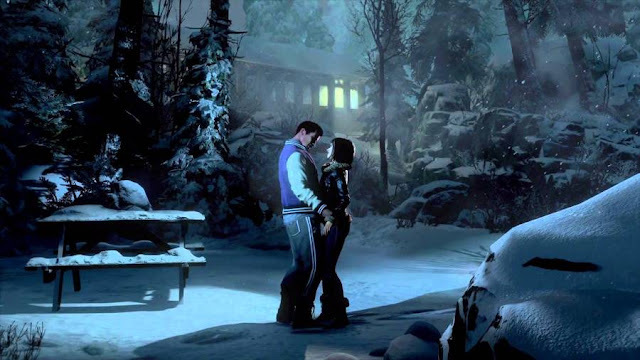 Until Dawn - Love Affair With Jessica: Guide to the choices to be made with Mike to make love with Jessica. 1. Winning the battle with snowballs against Mike always hitting the boy, avoiding his shots and choose to do nothing when the bird lands on the table. 2. Choose to kiss Mike at the end of the battle with the snow. 1. Always give reassuring answers and in favor of Jessica. 2. Choose to run immediately to help Jessica when she falls into the mine. 1. Always give reassuring answers and in favor and admit to being in dropped his jokes. 2. Don’t Scare Jessica with mask found in the small wooden shed. 3. Choose to comfort the wounded poor deer. 4. Choose to help Jessica when she falls off the shed. 5. Fulfilling all the demands of the girl how to turn on the fireplace, the light of atmosphere etc. 6. If Jessica feels not ready, you give a reassuring answer, encouraging the girl. If you have correctly followed all the steps above you will be able to start love relationship with Jessica.